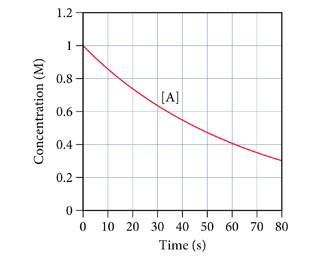 Solution: This graph shows the concentration of the reactant A in the reaction A.Determine the average rate of the reaction between 0 and 10 seconds. This graph shows the concentration of the reactant A in the reaction A. Determine the average rate of the reaction between 0 and 10 seconds.